Charles Holland, a director of FAT and one of our collaborating partners, spoke about our collaborative work at the Live! Croydon housing seminar. Spanning a packed morning, the event served as both a showcase for Croydon and an awareness raising exercise of the scope of the housing challenge in the borough over the next 20 years – delivering 20,000 new homes for a predicted 13% population increase. The focus was on family homes, high densities and encouraging residential growth within the town’s metropolitan centre. The generous site allowed for a crane to be used for construction. 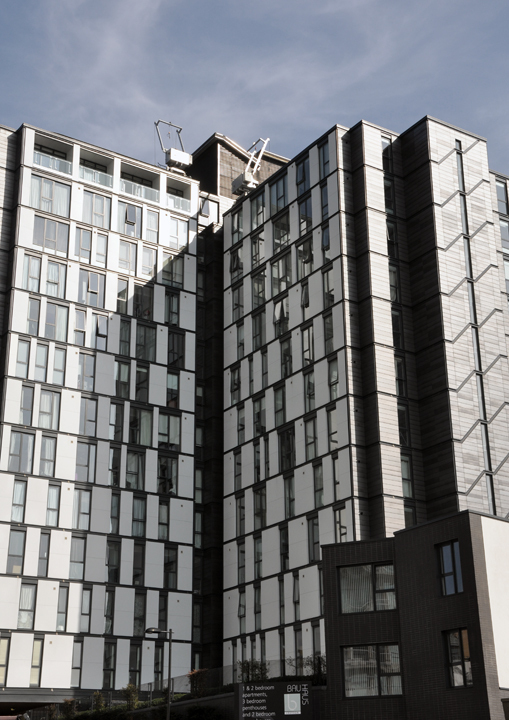 The structure allowed for the number of floors to increase by three, using a lightweight steel frame structure. Retention of the original stair cores was cost effective and simple. The inclusion of 5, 2-bed mews houses at ground level which sold incredibly well despite the developers doubts over their town centre location. Retention of the original lift cores, which did not match current lift standard sizing’s cost considerably more to install than removing the entire shaft. Adding a basement car park below an existing structure was challenging and possibly unnecessary given Croydon’s excellent transport links. Solar PV panels were problematic to install and added no significant value to the development. 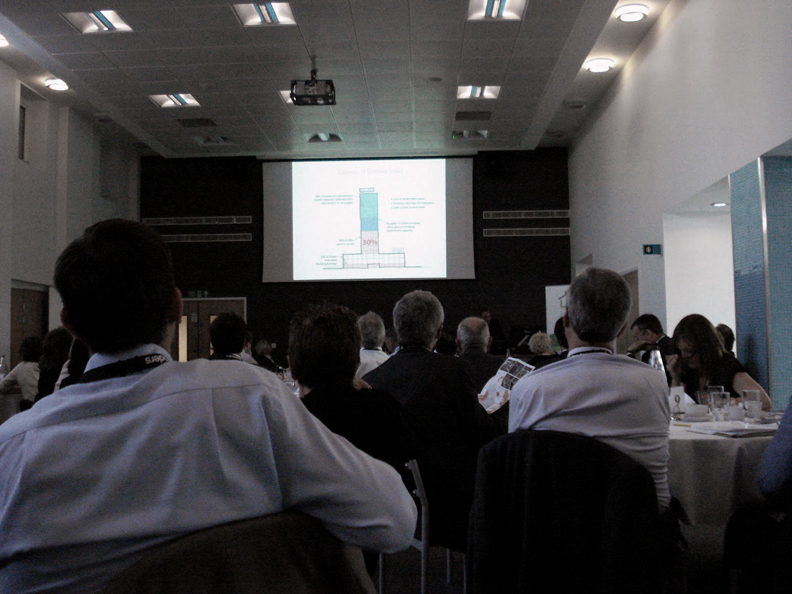 Vincent Lacovara from the council’s placemaking team rounded out the conversion session by highlighting Croydon’s willingness to accommodate refurbishment and retrofit of 1960s stock, including commercial to residential transformations, and a number of successful schemes elsewhere in the UK and abroad – e.g. urban splash’s developments, the rotunda with Glen Howells Architects and Park Hill with Studio Egret West. Overall a thought provoking day for AF, developers and those in the public sector charged with steering the process. 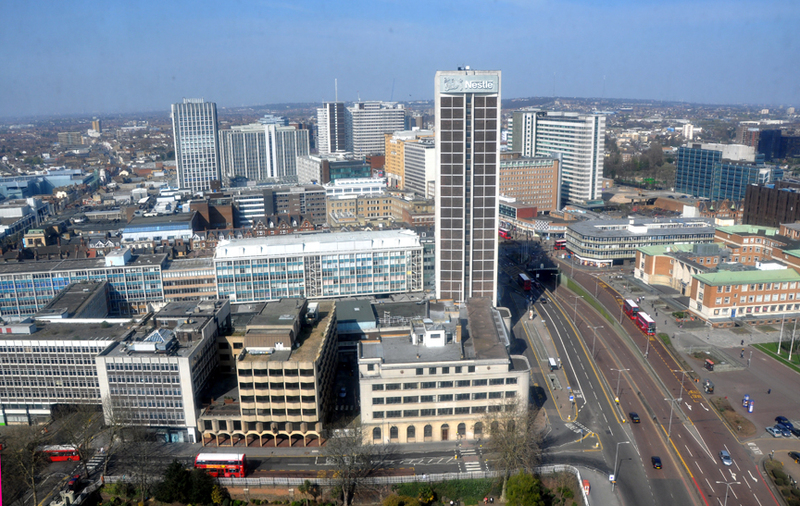 The next step for AF & FAT’s collaboration will be to look specifically at St George’s House (known as the Nestle Tower), a 1960s podium/ tower office block, which represents one of the 9 housing typologies laid out in the Croydon Housing Typologies document. This is a very timely application with the Nestle organisation vacating the building in the near future. In relationship to exploring possibilities for the Nestle building, we have started looking at the surrounding urban setting focused on George Street, branching off occasionally, highlighting opportunities with adjacent spaces, smaller vacant buildings and passage ways.